This is only my view on ASN.1, explained as simply as possible. For more theoretical or academic views, I’m sure you’ll find better on the Internet. ASN.1 is a notation whose goal is to specify formats for data exchange. It is independent of the way data is encoded. Data encoding is specified in Encoding Rules. The most used encoding rules are BER (Basic Encoding Rules) and DER (Distinguished Encoding Rules). Both look the same, but the latter is specified to guarantee uniqueness of encoding. This property is quite interesting when speaking about cryptography, hashes and signatures. ASN.1 provides basic objects: integers, many kinds of strings, floats, booleans, containers, etc. They are grouped in the so called Universal class. A given protocol can provide other objects which will be grouped in the Context class. For example, SNMP defines PDU_GET or PDU_SET objects. There are also the Application and Private classes. Each of theses objects is given a tag that will be used by the encoding rules. Tags from 1 are used for Universal class. 1 is boolean, 2 is integer, 3 is a bit string, 6 is an OID, 48 is for a sequence. Tags from the Context class begin at 0xa0. When encountering an object tagged by 0xa0, we’ll need to know the context to be able to decode it. For example, in SNMP context, 0xa0 is a PDU_GET object, while in X509 context, it is a container for the certificate version. Other objects are created by assembling all those basic brick objects. The composition is done using sequences and arrays (sets) of previously defined or existing objects. 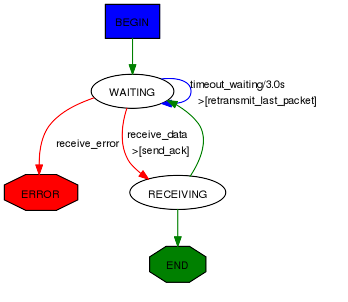 The final object (an X509 certificate, a SNMP packet) is a tree whose non-leaf nodes are sequences and sets objects (or derived context objects), and whose leaf nodes are integers, strings, OID, etc. Scapy provides a way to easily encode or decode ASN.1 and also program those encoders/decoders. It is quite more lax than what an ASN.1 parser should be, and it kind of ignores constraints. It won’t replace neither an ASN.1 parser nor an ASN.1 compiler. Actually, it has been written to be able to encode and decode broken ASN.1. It can handle corrupted encoded strings and can also create those. Note: many of the classes definitions presented here use metaclasses. If you don’t look precisely at the source code and you only rely on my captures, you may think they sometimes exhibit a kind of magic behaviour. `` Scapy ASN.1 engine provides classes to link objects and their tags. They inherit from the ASN1_Class. The first one is ASN1_Class_UNIVERSAL, which provide tags for most Universal objects. Each new context (SNMP, X509) will inherit from it and add its own objects. As with the standard, ASN.1 and encoding are independent. We have just seen how to create a compounded ASN.1 object. To encode or decode it, we need to choose an encoding rule. Scapy provides only BER for the moment (actually, it may be DER. DER looks like BER except only minimal encoding is authorised which may well be what I did). I call this an ASN.1 codec. ASN.1 objects are encoded using their .enc() method. This method must be called with the codec we want to use. All codecs are referenced in the ASN1_Codecs object. raw() can also be used. In this case, the default codec (conf.ASN1_default_codec) will be used. By default, decoding is done using the Universal class, which means objects defined in the Context class will not be decoded. There is a good reason for that: the decoding depends on the context! While this may be nice, it’s only an ASN.1 encoder/decoder. Nothing related to Scapy yet. Scapy provides ASN.1 fields. They will wrap ASN.1 objects and provide the necessary logic to bind a field name to the value. ASN.1 packets will be described as a tree of ASN.1 fields. Then each field name will be made available as a normal Packet object, in a flat flavor (ex: to access the version field of a SNMP packet, you don’t need to know how many containers wrap it). Each ASN.1 field is linked to an ASN.1 object through its tag. ASN.1 packets inherit from the Packet class. Instead of a fields_desc list of fields, they define ASN1_codec and ASN1_root attributes. The first one is a codec (for example: ASN1_Codecs.BER), the second one is a tree compounded with ASN.1 fields. Metaclasses provide the magic behind the fact that everything is automatically registered and that ASN.1 objects and BER codecs can find each other. That wasn’t that much difficult. If you think that can’t be that short to implement SNMP encoding/decoding and that I may may have cut too much, just look at the complete source code. 0000   30 2E 02 01 03 04 06 70  75 62 6C 69 63 A0 21 02   0......public.!. 0010   01 00 02 01 00 02 01 00  30 16 30 07 06 02 2A 03   ........0.0...*. The MIB files I’ve used are attached to this page. Scapy enables to create easily network automata. Scapy does not stick to a specific model like Moore or Mealy automata. It provides a flexible way for you to choose you way to go. An automaton in Scapy is deterministic. It has different states. A start state and some end and error states. There are transitions from one state to another. Transitions can be transitions on a specific condition, transitions on the reception of a specific packet or transitions on a timeout. When a transition is taken, one or more actions can be run. An action can be bound to many transitions. Parameters can be passed from states to transitions and from transitions to states and actions. From a programmer’s point of view, states, transitions and actions are methods from an Automaton subclass. They are decorated to provide meta-information needed in order for the automaton to work. Let’s begin with a simple example. I take the convention to write states with capitals, but anything valid with Python syntax would work as well. print "Action on 'nothing' condition"
ATMT.state that is used to indicate that a method is a state, and that can have initial, final and error optional arguments set to non-zero for special states. ATMT.action binds a method to a transition and is run when the transition is taken. The ATMT.state decorator transforms a method into a function that returns an exception. If you raise that exception, the automaton state will be changed. If the change occurs in a transition, actions bound to this transition will be called. The parameters given to the function replacing the method will be kept and finally delivered to the method. The exception has a method action_parameters that can be called before it is raised so that it will store parameters to be delivered to all actions bound to the current transition. Here is a real example take from Scapy. It implements a TFTP client that can issue read requests. States are methods decorated by the result of the ATMT.state function. It can take 3 optional parameters, initial, final and error, that, when set to True, indicate that the state is an initial, final or error state. return "Result of the automaton: 42"
return "Partial result, or explanation"
Transitions are methods decorated by the result of one of ATMT.condition, ATMT.receive_condition, ATMT.timeout. They all take as argument the state method they are related to. ATMT.timeout also have a mandatory timeout parameter to provide the timeout value in seconds. ATMT.condition and ATMT.receive_condition have an optional prio parameter so that the order in which conditions are evaluated can be forced. Default priority is 0. Transitions with the same priority level are called in an undetermined order. When the automaton switches to a given state, the state’s method is executed. Then transitions methods are called at specific moments until one triggers a new state (something like raise self.MY_NEW_STATE()). First, right after the state’s method returns, the ATMT.condition decorated methods are run by growing prio. Then each time a packet is received and accepted by the master filter all ATMT.receive_condition decorated hods are called by growing prio. When a timeout is reached since the time we entered into the current space, the corresponding ATMT.timeout decorated method is called. Actions are methods that are decorated by the return of ATMT.action function. This function takes the transition method it is bound to as first parameter and an optional priority prio as a second parameter. Default priority is 0. An action method can be decorated many times to be bound to many transitions. print "We are not lucky..."
The parse_args() method is called with arguments given at __init__() and run(). Use that to parametrize the behaviour of your automaton. The master_filter() method is called each time a packet is sniffed and decides if it is interesting for the automaton. When working on a specific protocol, this is where you will ensure the packet belongs to the connection you are being part of, so that you do not need to make all the sanity checks in each transition. Pipetool is a smart piping system allowing to perform complex stream data management. They are executed and handled by a PipeEngine object. When running, a pipetool engine waits for any available data from the Source, and send it in the Drains linked to it. The data then goes from Drains to Drains until it arrives to a Sink, the final state of this data. there are two canals in PipeEngine, a low one and a high one. Some sources write on the lower one, some on the higher one and some on both. most sources can be linked to any drain, on both lower and higher canals. The use of > indicates a link on the low canal, and >> on the higher one. 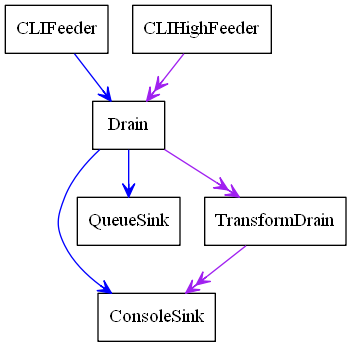 when we send some data in s2 , in goes through the Drain, then the TransformDrain where the data is reversed (see the lambda), before being sent to ConsoleSink only. This explains why we only have the data of the lower sources inside the QueueSink: the higher one has not been linked. A Source is a class that generates some data. They are several source types integrated with scapy, usable as-is, but you may also create yours. For any of those class, have a look at help([theclass]) to get more information, or the required parameters. PeriodicSource : Generage messages periodically on low canal. AutoSource: the default source, that must be extended to create custom sources. To create a custom source, one must extend the AutoSource class. Do NOT use the default Source class except if you are really sure of what you are doing: it is only used internally, and is missing some implementation. The AutoSource is made to be used. To send data through it, the object must call its self._gen_data(msg) or self._gen_high_data(msg) functions, which send the data into the PipeEngine. Drains need to be linked on the entry that you are using. It can be either on the lower one (using >) or the upper one (using >>). See the basic example above. Drain : the most basic Drain possible. Will pass on both low and high entry if linked properly. To create a custom drain, one must extend the Drain class. A Drain object will receive data from the lower canal in its push method, and from the higher canal from its high_push method. To send the data back into the next linked Drain / Sink, it must calls the self._send(msg) or self._high_send(msg) methods. QueueSink: Collect messages from high and low entries and queue them. Messages are unqueued with the .recv() method. To create a custom sink, one must extend the Sink class. A Sink class receives data like a Drain, from the lower canal in its push method, and from the higher canal from its high_push method. A Sink is the dead end of data, it won’t be send anywhere after it. As shown in the example, most sources can be linked to any drain, on both lower and higher canals. The use of > indicates a link on the low canal, and >> on the higher one. The PipeEngine class is the core class of the Pipetool system. It must be initialized and passed the list of all Sources. A clean stop only works if the Sources is exhausted (has no data to send left). It can be printed into a graph using .graph() methods. see help(do_graph) for the list of possible kwarguments. Know that you know the default PipeTool objects, here are more advanced ones, based on packet functionnalities. SniffSource : Read packets from an interface and send them to low exit. RdpcapSource : Read packets from a PCAP file send them to low exit. Some special sort of Drains exist: the Trigger Drains. Trigger Drains are special drains, that on receiving data not only pass it by, but also send a “Trigger” input, that is received and handled by the next triggered drain (if it exists). INFO: Pipe engine thread started. SCTP is a relatively young transport-layer protocol combining both TCP and UDP characteristics. The RFC 3286 introduces it and its description lays in the RFC 4960. It is not broadly used, its mainly present in core networks operated by telecommunication companies, to support VoIP for instance. If you are trying to discuss with SCTP servers, you may be interested in capabilities added in RFC 4895 which describe how to authenticated some SCTP chunks, and/or RFC 5061 to dynamically reconfigure the IP address of a SCTP association. These capabilities are not always enabled by default on Linux. Scapy does not need any modification on its end, but SCTP servers may need specific activation. All automotive related features work best on Linux systems. CAN and ISOTP sockets in Scapy are based on Linux kernel modules. The python-can project is used to support CAN and CANSockets on other systems, besides Linux. This guide explains the hardware setup on a BeagleBone Black. The BeagleBone Black was chosen because of its two CAN interfaces on the main processor. The presence of two CAN interfaces in one device gives the possibility of CAN MITM attacks and session hijacking. The Cannelloni framework turns a BeagleBone Black into a CAN-to-UDP interface, which gives you the freedom to run Scapy on a more powerful machine. bashCommand = "/bin/bash -c 'sudo modprobe vcan; sudo ip link add name vcan0 type vcan; sudo ip link set dev vcan0 up'"
This example shows a SOME/IP message which requests a service 0x1234 with the method 0x421. Different types of SOME/IP messages follow the same procedure and their specifications can be seen here http://www.some-ip.com/papers/cache/AUTOSAR_TR_SomeIpExample_4.2.1.pdf. In this example a SOME/IP SD offer service message is shown with an IPv4 endpoint. Different entries and options basically follow the same procedure as shown here and can be seen at https://www.autosar.org/fileadmin/user_upload/standards/classic/4-3/AUTOSAR_SWS_ServiceDiscovery.pdf. The UDP port must be the one which was chosen for the SOME/IP SD transmission. The IP source must be from the service and the destination address needs to be the chosen multicast address. l4_proto defines the protocol for the communication with the endpoint, UDP in this case. The get_someip method stacks the SOMEIP/SD message on top of a SOME/IP message, which has the desired SOME/IP values prefilled for the SOME/IP SD package transmission. https://beagleboard.org/latest-images. Choose the BeagleBone Black IoT version and download it. After the download, copy it to an SD-Card with minimum 4 GB storage. You’ll need to follow this section only if you want to use two CAN interfaces (DCAN0 and DCAN1). This will disable I2C2 from using pins P9.19 and P9.20, which are needed by DCAN0. You only need to perform the steps in this section once. Warning: The configuration in this section will disable BBB capes from working. Each cape has a small I2C EEPROM that stores info that the BBB needs to know in order to communicate with the cape. Disable I2C2, and the BBB has no way to talk to cape EEPROMs. Of course, if you don’t use capes then this is not a problem. Edit am335x-bone-common.dtsi and ensure the line with "//pinctrl-0 = <&i2c2_pins>;" is commented out. This section describes how to build the device overlays for the two CAN devices (DCAN0 and DCAN1). You only need to perform the steps in this section once. Edit BB-CAN0-00A0.raw.dts and make relevant to CAN0. Example is shown below. Inside the DTS folder, create a file with the content of the following listing. Do the following each time you need CAN, or automate these steps if you like. Check the output of the Capemanager if both CAN interfaces have been loaded. If something went wrong, dmesg provides kernel messages to analyze the root of failure. A Linux ISO-TP kernel module can be downloaded from this website: https://github.com/ hartkopp/can-isotp.git. The file README.isotp in this repository provides all information and necessary steps for downloading and building this kernel module. The ISO-TP kernel module should also be added to the /etc/modules file, to load this module automatically at system boot of the BBB. As final step to prepare the BBB’s CAN interfaces for usage, these interfaces have to be setup through some terminal commands. The bitrate can be chosen to fit the bitrate of a CAN bus under test. To build a small test environment in which you can send SOME/IP messages to and from server instances or disguise yourself as a server, one Raspberry Pi, your laptop and the vsomeip library are sufficient. Download the latest raspbian image (https://www.raspberrypi.org/downloads/raspbian/) and install it on the Raspberry. Download the vsomeip library on the Rapsberry, apply the git patch so it can work with the newer boost libraries and then install it. Write some small applications which function as either a service or a client and use the scapy SOME/IP implementation to communicate with the client or the server. Examples for vsomeip applications are available on the vsomeip github wiki page (https://github.com/GENIVI/vsomeip/wiki/vsomeip-in-10-minutes). The Cannelloni framework is a small application written in C++ to transfer CAN data over UDP. In this way, a researcher can map the CAN communication of a remote device to its workstation, or even combine multiple remote CAN devices on his machine. The framework can be downloaded from this website: https://github.com/mguentner/cannelloni.git. The README.md file explains the installation and usage in detail. Cannelloni needs virtual CAN interfaces on the operators machine. The next listing shows the setup of virtual CAN interfaces.